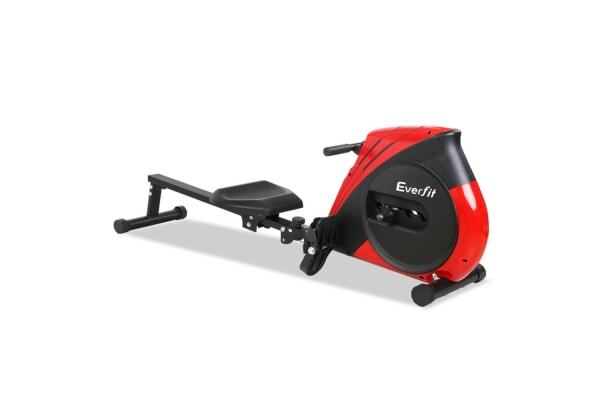 The Everfit Rowing Machine, utilizing an elastic-rope system, targets all the major muscle groups for well-toned abs, back and legs. Simply select the workouts you desire, with up to four levels of manual resistance, and monitor the progress on the large LCD display console. 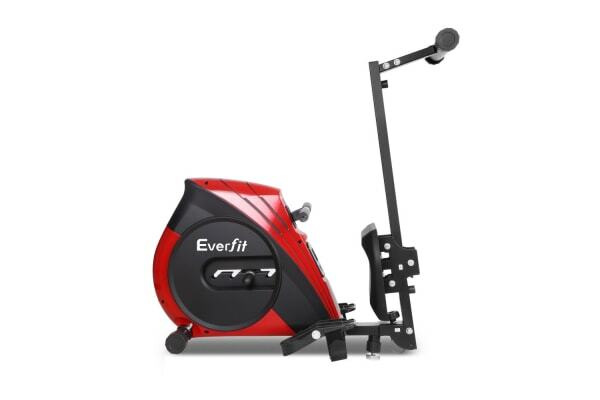 This fitness machine is just perfect for home fitness routines with its quiet operation and super sturdy frame. Featuring anti-slip footrests with adjustable foot straps to ensure secure smooth glides, the Rowing Machine also has a molded seat for comfort while burning up the calories. 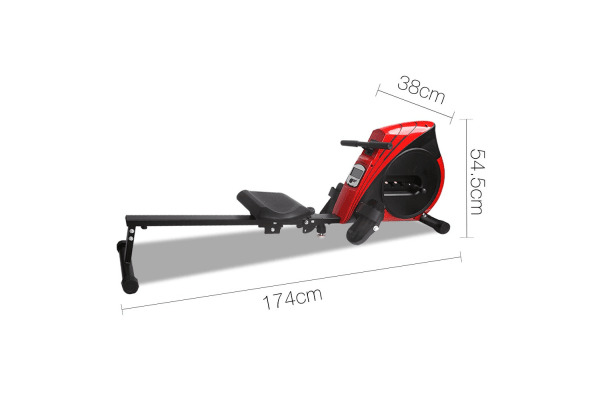 With a weight capacity of up to 150kg, the Rowing Machine is no push over in terms of strength and durability. And when the huffing and puffing is done, simply fold it and store till the next session.